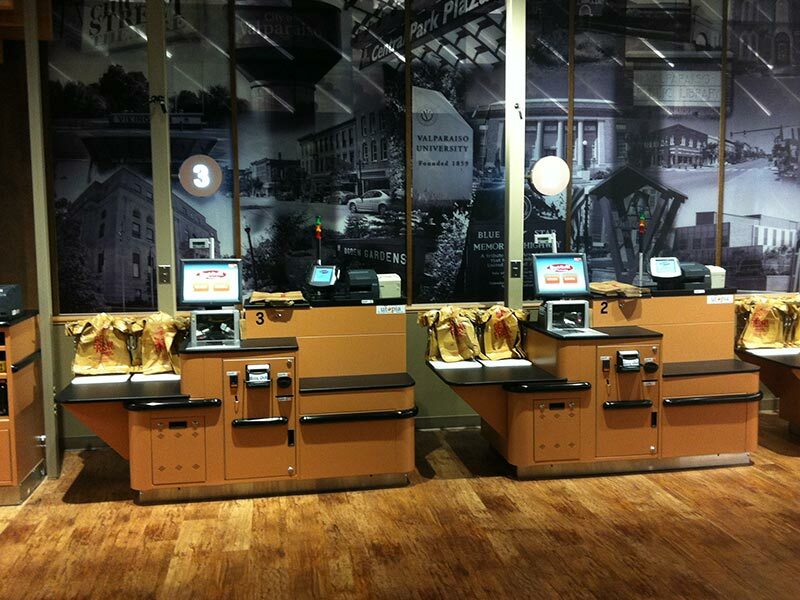 Your Vision Of The Future Of Retail, Engineered To Work In The Real World. Today. No one else can bring your ideas to life better than the Self Service Technology Group. When it comes to combining high quality large volume manufacturing, ground-breaking technology, seamless integration and unsurpassed consolidation, no other company even comes close. This unmatched capability is why we are proud to provide products and services for some of the world’s largest retailers as well as the smallest independent retailers. Through our strategic partnerships we can offer complete business solutions – from the front-end to the back office to the bank. We encourage retailers to adopt a more data-driven mindset and strategy, where store data, not the POS system, becomes the key to the business. We are determined to provide the best value and environmentally sound solution in every category in which we compete. From our user-friendly self checkout, to our revolutionary cash-handling lane, to the first ergonomic checkout counter in the industry, we are driven to provide products that decrease our clients’ overhead while delivering a better shopping experience to their customers. From revolutionary portal scanning checkout lanes to custom merchandising solutions delivered on time across the country we can help make your vision a reality. So if you have are looking for solutions that will exceed your expectations, make your job easier and provide a better shopping experience for your customers, give us a call. The future of retail is being developed today at the Self Service Technology Group. No other manufacturer has the capabilities that you will find working with us. We have over 50+ years of experience developing retail solutions for some of the world’s largest and most successful retailers. If you have a vision for the future of your store, we can make it happen. Companies choose to work with the Self Service Technology Group because of our proven record of delivering their solutions on time, on budget, and with as few surprises as possible. We make your job easier by consolidating the process at one place, handling everything for our clients from the smallest details to the largest national and international rollouts. Working together, our solutions will help distinguish you from the competition. Your vision for the future is unique. You are looking for a partner that understands that vision and has an incomparable set of capabilities to bring it to life. Our revolutionary products are being implemented around the world. 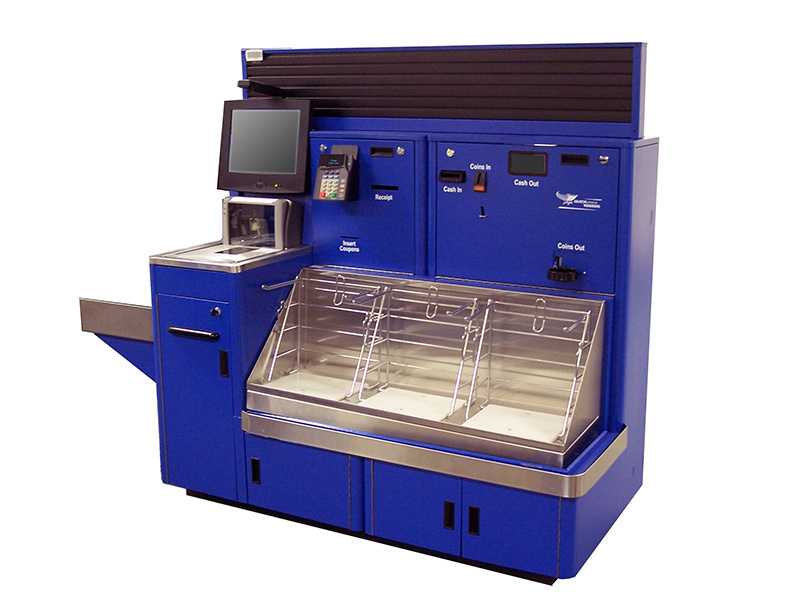 The Self Service Technology Group has helped develop and manufacture solutions that will decrease customer wait times and increase customer through-put. We strongly believe that what is good for your bottom line, can also be good for the customer shopping experience. The bottom line: improved profitability and faster ROI. We understand that if our solutions don’t provide you with improved profitability and a quick ROI you won’t need them. That is why we have developed patented processes for measuring and calculating these areas. Our goal on every project is not to meet your expectations but to exceed them. This is why we have invested heavily in new technology, training, and capacity. Just one visit to our facility in Bowling Green, KY will change the way you are thinking about the future of retail and who can help you realize your vision. Whatever need a client may have, Our Self Service Technology Group has a robust and advanced Quality Management System in place. In addition, a 6 Sigma Program and application of Lean 6 Sigma tools enhance our QMS. Our Company values the team approach and employee involvement throughout the whole process from Development to Delivery. Our objective is to lead our markets with solutions and services that satisfy our client’s quality, dependability, delivery, and performance expectations including solutions that are PCI compliant through MTX-EPS certification and a host of products that comply with UL standards.